Keeping with his, shall we say, unconventional style, Donald Trump announced his defense secretary pick, James Mattis, at a rally in Cincinnati, Ohio, proclaiming, "We’re not announcing until Monday so don’t tell anybody." 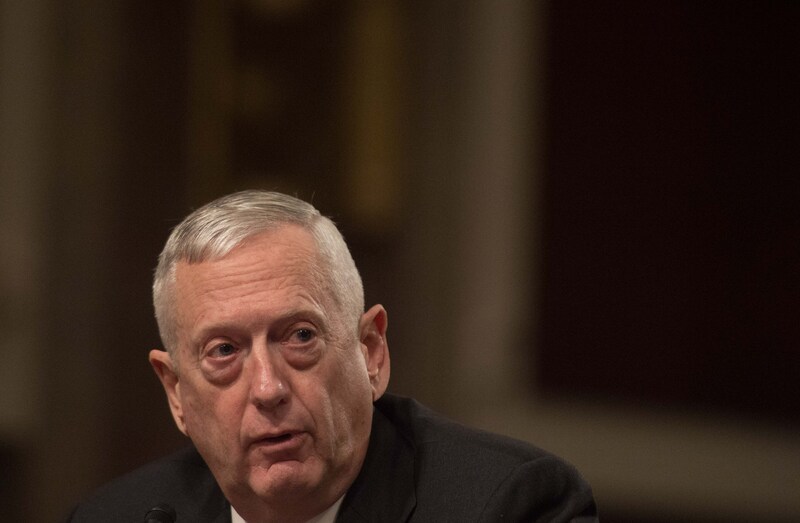 Already, Mattis, a retired Marine general, faces some obstacles toward confirmation because federal law prohibits military officers from serving in "top civilian roles," unless they've been retired for at least seven years, as The Daily Beast noted in a report. If confirmed, though, Mattis could potentially provide pushback against Trump. After all, Gen. Mattis' stance on torture, like waterboarding, appears to notably differ from the president-elect's view. Trump made jaws drop in foreign-policy circles during his campaign when he repeatedly promised to bring back the use of waterboarding and to "broaden" the laws regarding torture of American prisoners. "Torture works, OK, folks?" Trump told crowds last February. "You know, I have these guys — 'Torture doesn't work!' — believe me, it works." Trump's statements about torture are particularly jarring considering the fact that he has no military or foreign policy experience. It is unclear to me how he would have no way of knowing whether one interrogation technique "worked" better than any other. According to Trump, when the two men met late last month, Mattis told him that he did not believe torture was useful. "'He said, 'I've never found it to be useful,'" Trump told the New York Times. He said that torture is "not going to make the kind of a difference that a lot of people are thinking." Trump added that Mattis told him, "Give me a pack of cigarettes and a couple of beers and I'll do better." There's ample evidence on Mattis' side. A 2014 Senate Intelligence Committee report, for example, stated that waterboarding "was not an effective means of obtaining information or gaining detainee cooperation." As things currently stand, torture is not a legal tactic for government agencies to use under 2015 National Defense Authorization Act. Trump would have to go through Congress to get approval to reinstate waterboarding. Whether waterboarding legally constitutes torture is hotly contested among politicians. Former prisoner of war and Sen. John McCain recently indicated that it was torture, and said, “I don’t give a damn what the president of the United States wants to do. We will not waterboard. We will not torture people." But was Mattis, who served more than 40 years in the Marine Corps, able to convince the president-elect on torture? "I'm not saying it changed my mind," Trump told the New York Times. Still, perhaps Mattis' views will be a bit more convincing when uttered in the White House.